In this infographic, we present the results of our latest spotlight survey on MSCs. In our latest spotlight survey, we wanted to find out how and why you are utilizing MSCs in your research. How do you compare? Tell us in the comments below or on Twitter at @RegMedNet. In our latest community post, Melissa van Pel and Brigitte Wieles (Leiden University Medical Center) share their thoughts on the results. 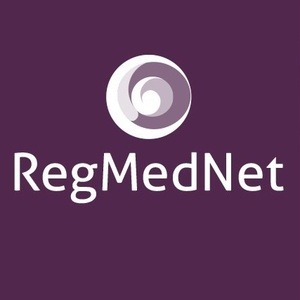 Thanks to RegMedNet for a comprehensive and illuminating infographic on human mesenchymal stem cells. However, one concept that is not evident in the queries and responses is the heterogeneous nature of MSC preparations, whether primary, processed, or expanded. The currently available biomarkers do a poor job of distinguishing stem cells from committed progenitor cells. The changing relative distributions of these subtypes of mesenchymal tissue cells, as well as differentiating cells, are responsible for the vexing variability of "MSC" preparations with media, growth factors, time, passage, etc. Our company, Asymmetrex, has developed a technology, the AlphaSTEM Test^TM, that can delineate the specific number and cell kinetics of mesenchymal stem cells, committed progenitor cells, and differentiating cells in complex "MSC" preparations. We encourage the fields of MSC research and medicine to take advantage of this technological development to advance their experiments, clinical trials, and patient care into the new era of quantitative stem cell medicine. Great infographic! Looking at the biggest challenges presented here, I'd like to say that our GMP facility at Emory University can help. As a non-profit organization, we provide low cost frozen MSCs, GMP-grade platelet lysate and can guide you on everything else related to MSC manufacturing, INDs and clinical trials. It's our goal to move MSCs into clinic to treat the world's most devastating diseases.